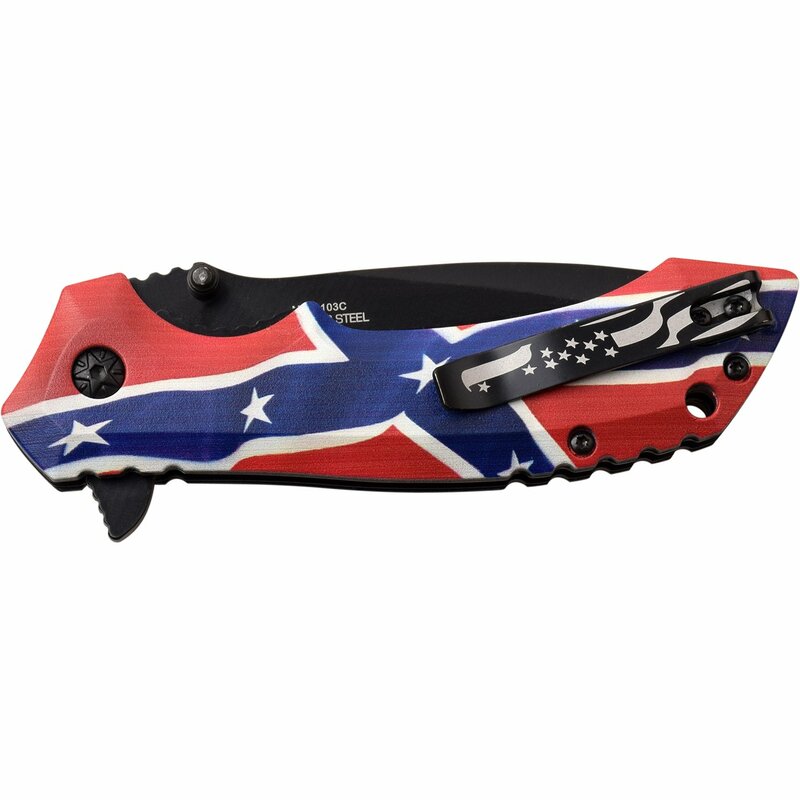 Confederate flag handle best pocket knife. 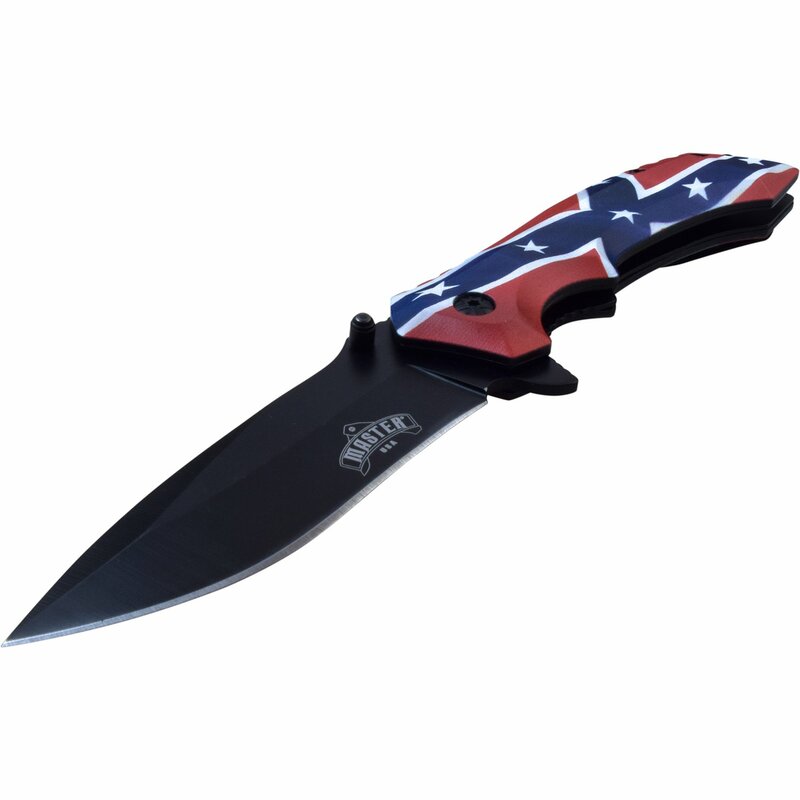 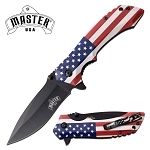 The assisted opening knives includes a Confederate flag design pocket clip and comes in a box. 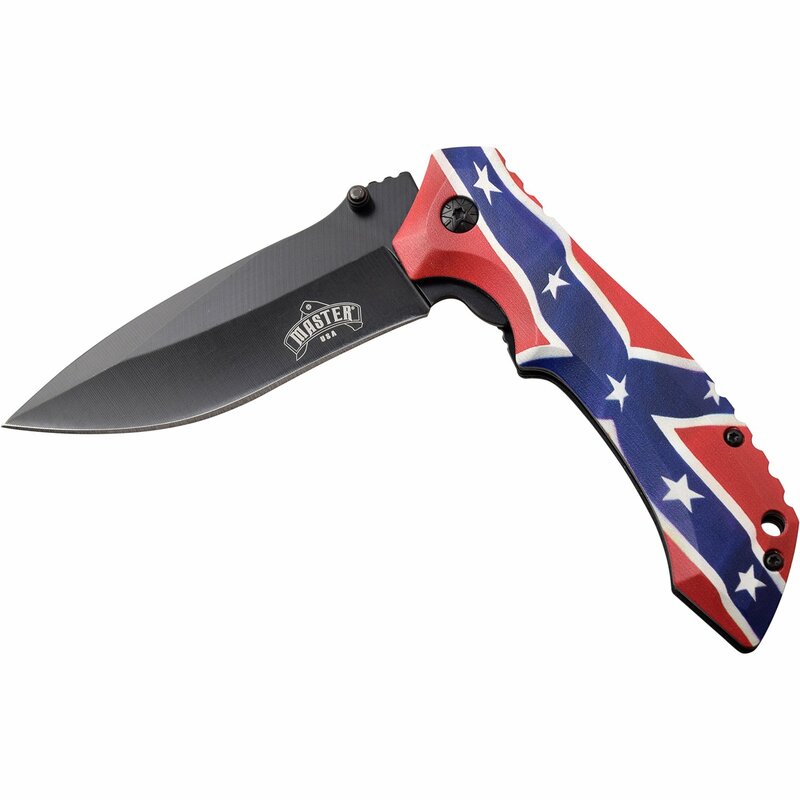 Assisted opening knife with Confederate flag handle. 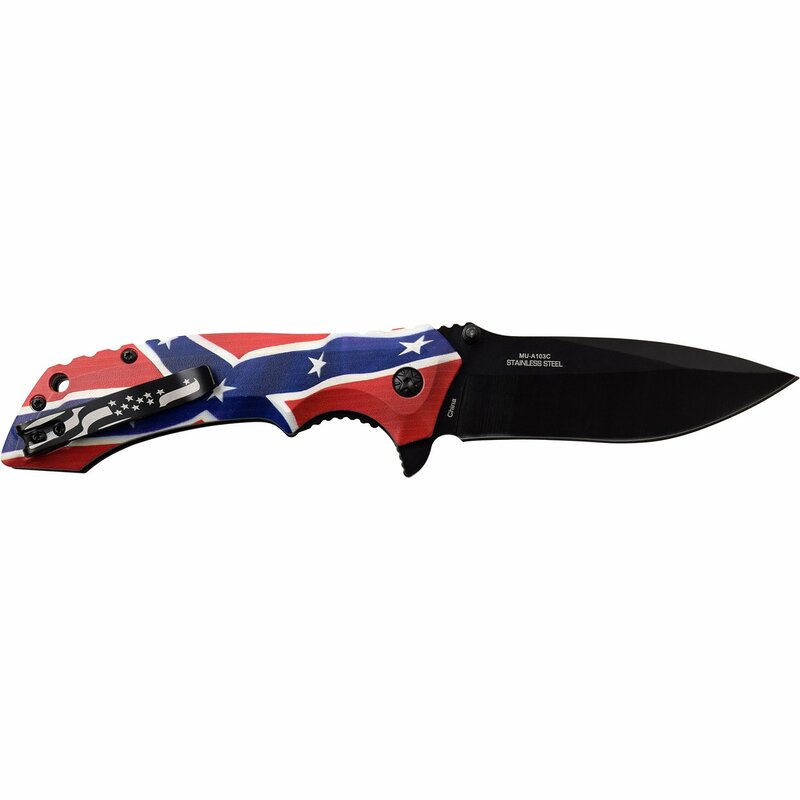 The cool pocket knife is 8.25 inches long. 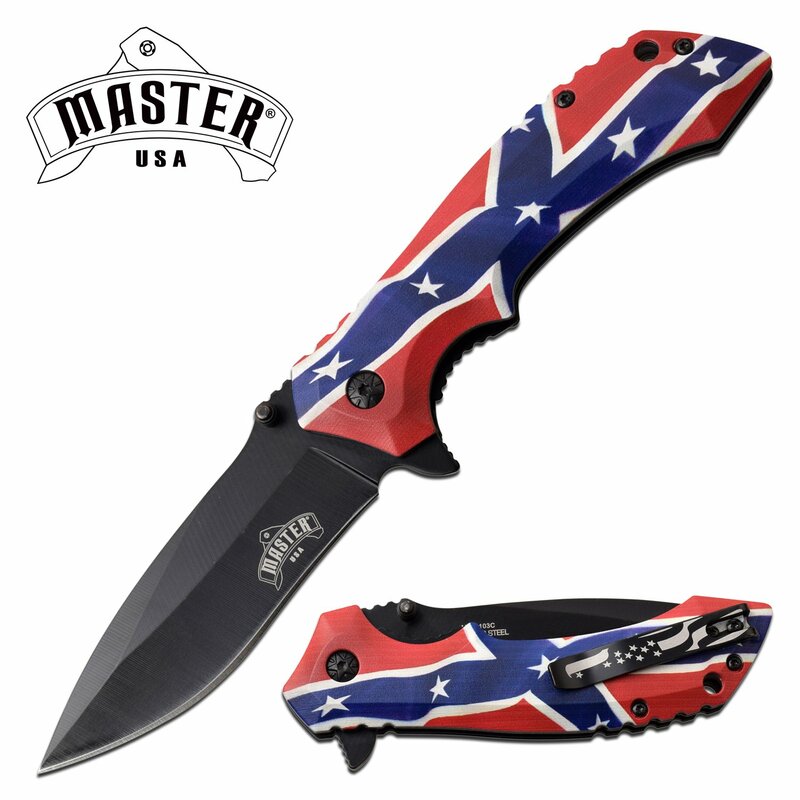 Includes a Confederate flag design pocket clip and comes in a box.